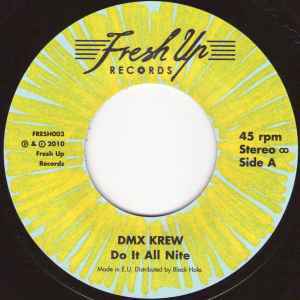 Friend of mine pointed me out to this 7" by DMX Krew..unbelievable how something so new can sound so "old school"! Very cool tracks, both sides! Great use of vocoders and real funky beats. Very glad I got a copy of this Fresh Up production!